Identify gaps, assess risk, and improve your GDPR compliance program. Improving your GDPR compliance program will reduce risk and enhance trust with customers and partners. Determine where improvements can be made, and incorporate program controls into your long term plan. 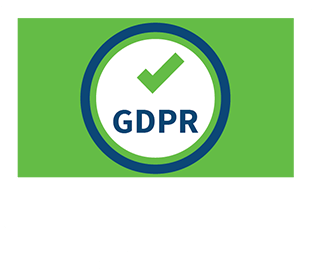 TrustArc consultants assess your privacy compliance against the core requirements of the EU General Data Protection Regulation, and provide a prioritized, step-by-step implementation plan for efficiently managing EU GDPR compliance. The deep expertise of our privacy consulting team is augmented by the TrustArc Platform — powerful technology that ensures the assessment is comprehensive, complete and accurate. The platform helps streamline and manage the entire process. TrustArc solutions are powered by a unique combination of deep privacy expertise developed over two decades, proven methodologies refined through thousands of engagements, and powerful technology operating at scale for eight years. Assess compliance across all business units. Deliverables include a summary of gaps and remediation recommendations. Develop a prioritized action plan with specific remediation recommendations, schedule, and budget / resource estimates. Custom review with key stakeholders to build awareness, and gain agreement on your action plan. Topics include gap & risk analysis, industry benchmarking, and resource plans. Looking for help assessing your GDPR compliance?